My gosh......... 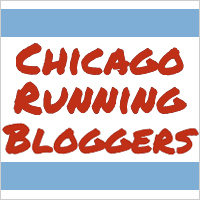 I am finally in the process of catching up on race recaps!! I have not been consistent on the blog for the past month because life has been busy and throwing me a ton of curve balls lately. I had a one week vacation with the family, which didn't seem like much of a vacation at all. Hubby and I are in the process of trying to buy our first house together! Woot woot!! Things have been chaotic, but I hope to start becoming consistent on the blog again soon (and with different types content) as the Fall season arrives. 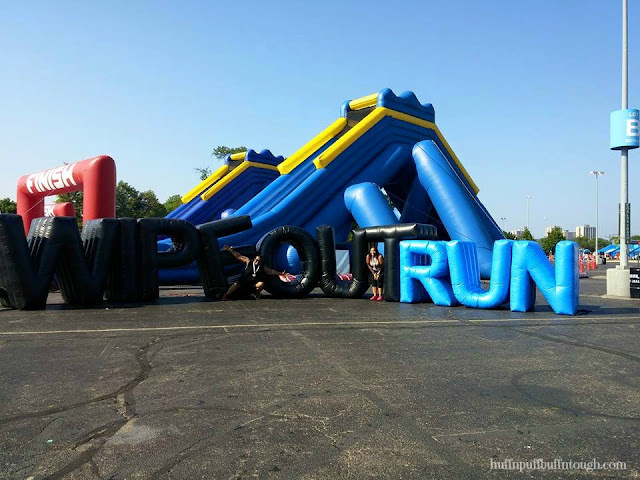 WIPEOUTRUN came to U.S. Cellular Field in Chicago on July 25th. I had a freaking BLAST!!! Team Huff 'n Puff to Buff 'n Tough was small this year with the team only consisting of hubby and myself. 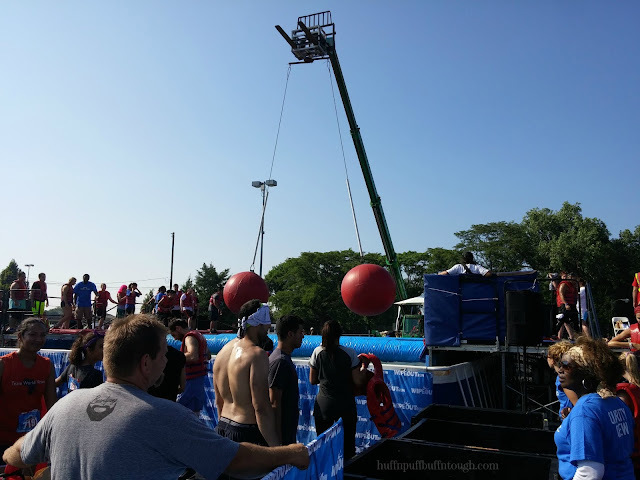 Many people were really hesitant when it came to this obstacle event. 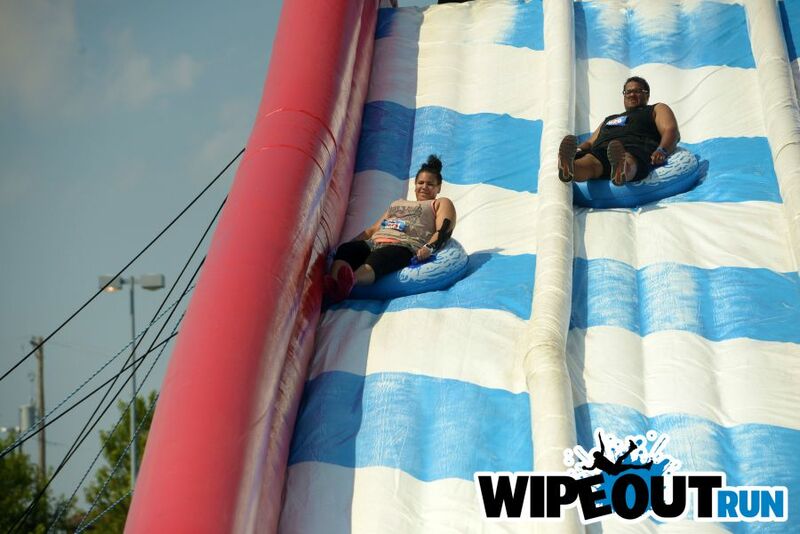 Main reason being was because they were nervous and didn't know what to expect other than what they have seen on the show WIPEOUT, the WIPEOUTRUN website and through YouTube videos. I could relate because when I came across this obstacle race with no strong interest on wanting to do it this year, I showed hubby and it immediately caught his interest with strong intentions of doing it this year. That's when I decided to look further into it and decided to do it and I am so glad that I did! I had such a good time. Hubby and I were scheduled for the 2 PM wave, which was nice! Frankly, I was tired of getting up at 5-6 AM for races. I didn't have any races for the month of July that required that, so I was a happy camper. Day of the race, my hubby and I were running around like chickens with our heads cut off trying to find a last minute babysitter for our sweet girl because some plans fell through with hubby's side of the family and they could no longer come to watch. The original plan was for her to be there cheering us on, but that didn't happen, so we had to find a babysitter last minute and I almost decided to skip the race because I didn't want to leave her with anyone. I was very pissed off, emotional and upset because I had to leave her behind. We finally found a babysitter and took a chance on this person. So we're running behind on schedule.... what else is new, right?! Haha. We drop our beautiful girl off with no issues and were able to leave without her crying and freaking out. Luckily, they didn't live too far from where we were going. We proceeded to U.S. Cellular Field to get our WIPEOUTRUN on. After check-in, we proceeded to the line that had formed at the starting chute. A nice girl must have seen the sticker wave time on our bibs because she asked if we were in the 2 PM wave and we told her yes. She went on to tell us that the 2 PM wave is already in the starting chute and they were getting ready to close the gate, so we went through the gate along with a few others before a staff member closed it. The waves were all mixed up. I saw people from earlier waves in line and also at the starting line with the 2 PM wave. I guess we didn't have to go with the 2 PM wave if we didn't want to or were late because everybody got to run, no matter what your wave time was. At the starting line, while we were waiting to start... we were listening to some horrible 90's music and some of today's music. I really wasn't a fan of the music. It didn't make me want to dance and I just lightly swayed back and forth trying to pick my mood up. I was already sweating and it was partly cloudy, but the sun was still beaming down on us. Storms were in the forecast, but they were nowhere to be seen. As hubby and I were talking, he points out this lady who was standing off on the side in the festival area near the starting line and she was dancing with a baby and lifting him in the air and I started smiling because it was so cute and they both seem to be having an awesome time hanging out and cheering on whoever it was they were there for. I started getting emotional. I was sobbing and started crying for the second time that day and I was trying so hard to hold it back, but that only made it worse. Hubby looks at me and asks me what's wrong. I told him how much I missed Harlie Jade and that I really wanted her there with us to cheer us on. He started comforting me and I finally got it together and sucked it up before the announcer started. The announcer comes on minutes later and starts getting our wave pumped up. Still playing horrible music, he made us "twerk", he made us do some other ridiculously stupid dance moves, then he let's us go! 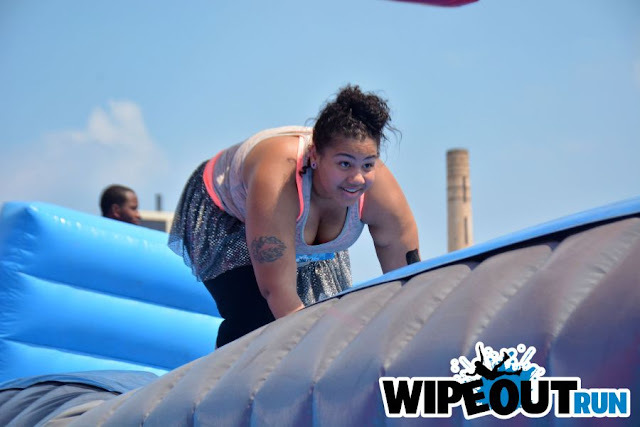 We start running and come to the first obstacle, Sky's The Limit - a huge inflatable with stairs and a huge bounce area. I was already breathing heavily and my heart rate climbed pretty quickly. 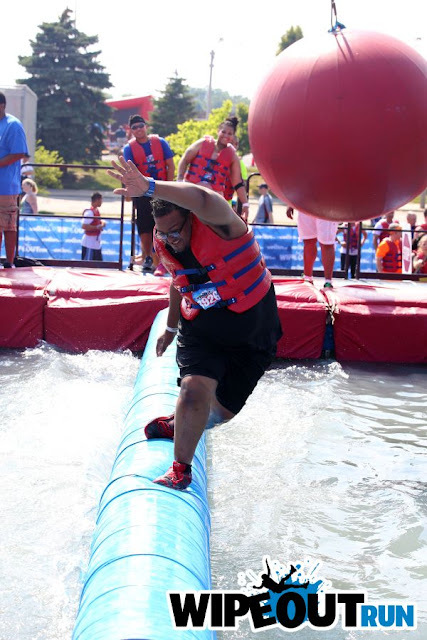 The next obstacle was, The Sweeper - we had to run across a narrow inflatable platform and dodge the rotating logs. 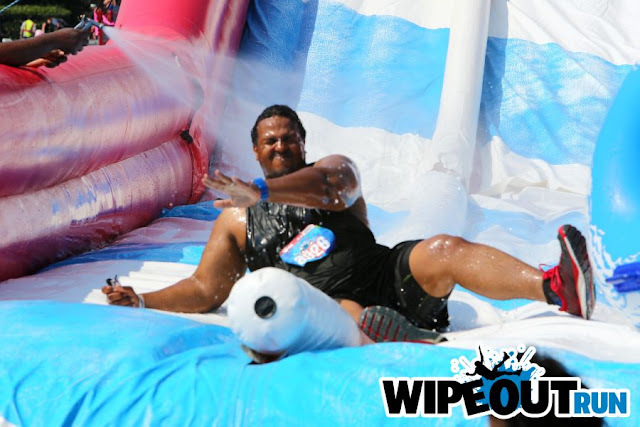 Next obstacle we ran to was, Foam Of Fury - a foamy slip and slide. There were multiple lines and basically we had to sprint to the slip and slide and jumped on for the ride. Well, my ride didn't last long. In fact, I slid less than halfway because the slip and slide had very little water on it. At multiple obstacles including this one, there were staff members standing on the side with hoses and spraying water on the obstacles. Not sure what happened before our turn because everybody we sprinted and rode with said they didn't go far either because it was dry. Afterwards, hubby spotted a porta-potty, so he made a quick stop. While waiting, I sat in the grass wiping and rubbing my sensitive eyes because they started to burn a bit from the foam (it lasted for about 10 minutes). I do believe had there been more water on that obstacle during the time we went, the foam wouldn't have been such a problem with my eyes. Hubby said he didn't experience a lot of burning with his eyes afterwards. Only a slight burn while sliding through the foam. TIP: If you experience burning with the Foam Of Fury obstacle, or you think you may encounter this problem... you can use a rag or any piece of cloth or clothing item that is not covered in foam and wipe your eyes. You can also use water to wipe and/or rinse your eyes. Goggles can also prevent that if you think you will have this issue. The next obstacle we made our way to was the Smash Wall we had to get over and then to Big Balls where we had to jump on top of giant red balls and make our way across each ball. I jumped on top of the first red ball and landed on my stomach and then I fell off when I tried to get up to jump to the next ball. 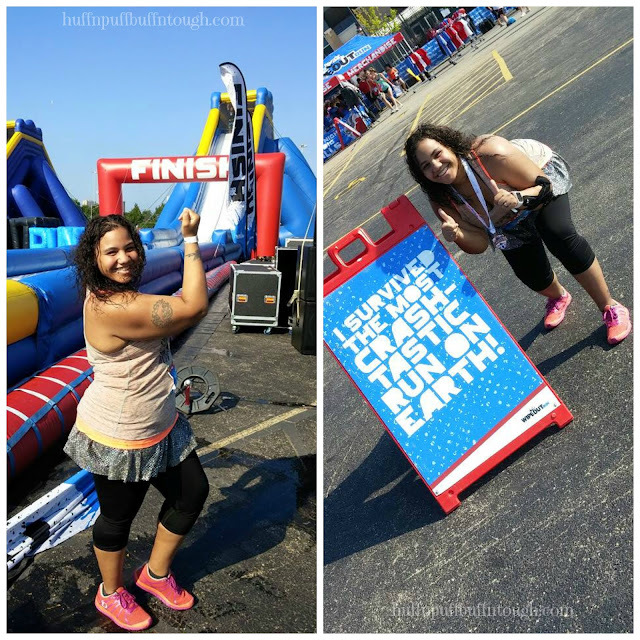 The next obstacle was one of my favorites!! The Tumble Tubes!! This was a HUGE inflatable tube slide with a splash pool at the end. Hubby and I went down this slide twice. The first time I wiped out. The second time I made it down without wiping out. It was opposite for hubby. He wiped out the second time (the photographer got an awesome photo of that), but held on to his eyeglasses this time around. Yep, you heard right.... Hubby let go of his prescription eyeglasses the first time down the slide, right before he hit the splash pool. The glasses fell into the water, so we immediately started looking for them. As people were coming down, my hubby was informing them that there were glasses in the pool somewhere and asked if they had come across any. When the traffic slowed down at the slide, him and I would get back into the pool to search for them (he found a ton of sunglasses) and we did that 3 times and for 20 minutes until he finally found them! After he found them, we decided to go down the slide one more time and he held onto them this time. Well, guess what..... he lost them AGAIN at the next obstacle!!! 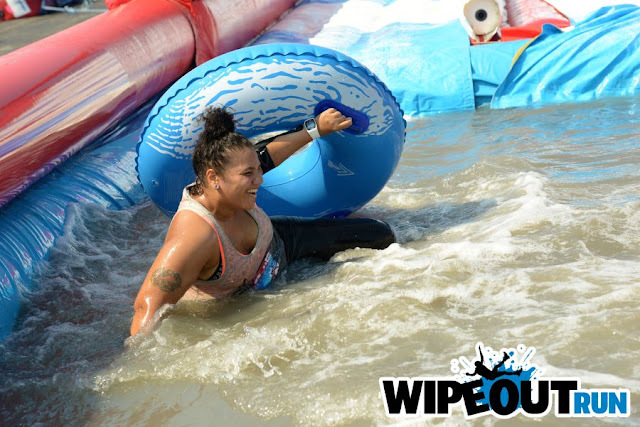 After this obstacle I was really fed up with having to constantly mess with my bib after a majority of obstacles. The safety pins were VERY cheap and flimsy and a very thin gauge. They kept popping open and I did get stuck quite a few times from these things. TIP: Bring your own safety pins for your bibs. Make sure they are a thick gauge and they are strong. Tumble Tubes - My FAVORITE obstacle and first wipeout on that obstacle. 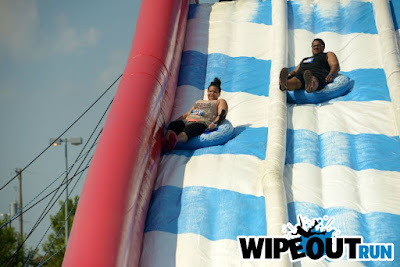 Tumble Tubes - Hubby's first wipeout on that obstacle. Wrecking Balls was the next obstacle, but getting to that obstacle was a little confusing. The course was not marked very well in this area and we had to guess and ask others where to go next. That part of the course, between Tumble Tubes and Wrecking Balls was not marked very well. We continue on to Wrecking Balls. We grabbed a life jacket and got in line. We had to make our way across a beam in the pool with gigantic red balls swinging in a circle. Again, the photographer captured an awesome photo of hubby, but somehow missed me when it was my turn. As hubby went across, he lost balance and fell into the water and he wasn't thinking about his glasses at the time and didn't realize he didn't have them in his hand until after he got out of the pool. 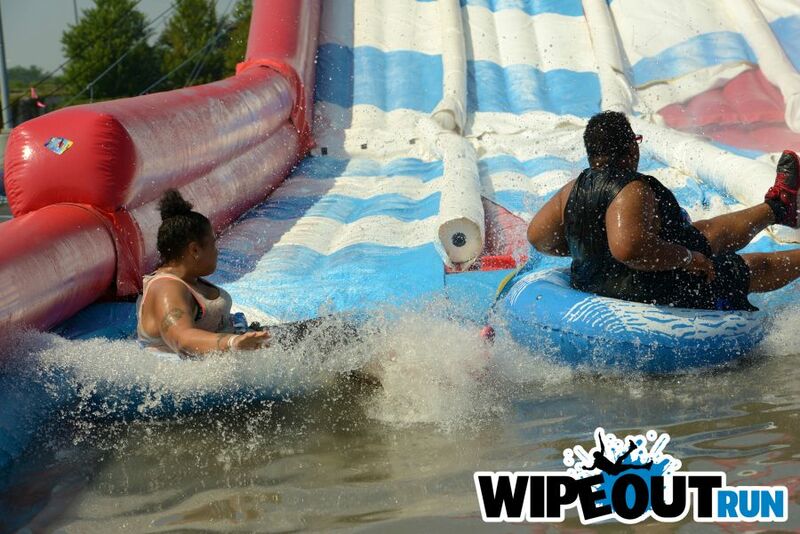 When my turn came, I almost made it, but then I lost my balance and fell into the water. Hubby immediately tells me to try and look for his glasses. I dunk underneath the water to search for them, but I was not successful and I couldn't stay in the pool any longer to look because that was a busy obstacle and I had to get out of the way. He never did find his glasses. We went to information tent after the race to report lost glasses and the lady went on to tell us they found over 21 GOPRO cameras, but no glasses were turned in yet and if they fell into the pool they won't be found until they drain it later that night. They told us to contact the security office at U.S. Cellular Field on Monday. We called the U.S. Cellular Field Security Office where all the lost and found items were supposedly turned in and they said they never receiving ANYTHING from WIPEOUTRUN, not even glasses. TIP: Don't lose ANYTHING, because you WON'T get it back. A closer look at the setup of Wrecking Balls. After Wrecking Balls, there was one more obstacle. The Happy Endings slide at the finish line! That was a fun slide! It was very steep and I haven't been on a slide like that since my water park days, over 6 years ago. Hard to believe it was an inflatable slide!!! There were no good pictures on this obstacle. The photographer caught me once and that was after I already slid down the slide. Hubby wasn't captured at all. There were two of these gigantic slides and each slide has two lanes and one photographer trying to capture it all. The left photo is what's included in the packet (MINUS THE MEDAL). It also included a tattoo, which is not pictured. The right photo is the "I CONQUERED WIPEOUTRUN" kit, which included everything that's pictured. WIPEOUTRUN did not include a finisher's medal for everyone. 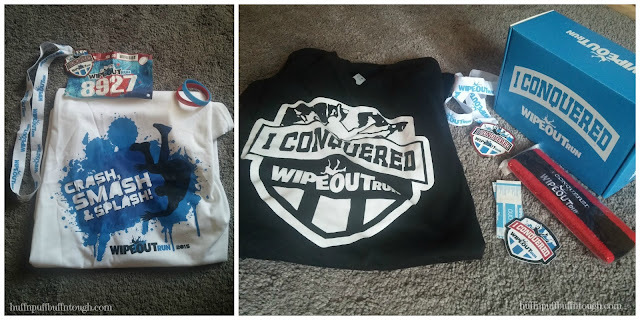 Instead, they offered what is called, "I CONQUERED WIPEOUTRUN" kit ($35), which included a finishers medal, t-shirt, headband, band aids, and a sticker. There needs to be more traffic control at the field. Spectators and participants that parked in the U.S. Cellular Field parking lot on the opposite side of the event had to cross a busy street to get to and from the event and there was nobody there controlling traffic and letting us cross. It was a dangerous situation and I saw many close calls between people and the cars. Traffic control was there telling us how to park, but there was none to be seen at that crossing section. The safety pins were crap and kept sticking me. They should have stronger safety pins for the bibs. For the price we pay for event photos, I feel that there should be more than one photographer for certain obstacles that are super busy. I love the festival atmosphere. Some families were turning it into a whole day of fun with food and all! The spectator opportunity was AWESOME!! Spectators were able to have access to most of the course and obstacles to watch participants. Dislike the fact that parts of the course were poorly marked. Dislike that some obstacles were missing at the Chicago location. Love that there were no problems with backups at obstacles for my wave (2PM wave). Do not like the fact that hubby's glasses were never turned in once the pool was emptied. WIPEOUTRUN staff claimed that they found a ton of things including 21 GOPRO cameras so far that day (it was only 4PM and the event didn't shut down till 5 or 6) and U.S. Cellular field is claiming that NOTHING was turned in to the Security Office where the staff said the lost items would go. Even with the few flaws, I had a REALLY good time! It was so much fun and I was already looking forward to next year before I even left the event. It was like being at a water park, but with clothes on!!!! You got to have all the fun that you would have at a water park without feeling self conscious in a swimsuit. I am happy to say that team Huff 'n Puff to Buff 'n Tough will be back next year and with a much larger team! Like I said, people including myself were very hesitant about the WIPEOUTRUN and sticker shock set in when people found out how much the race registration was ($80-90/registration if you waited until the last possible minute - $65 and below if you signed up earlier in the year, so plan ahead to save money). 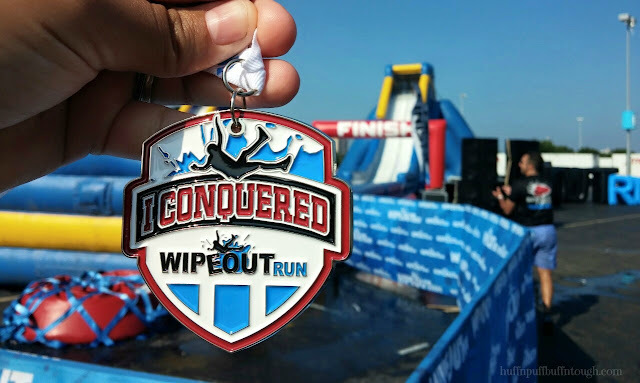 After doing WIPEOUTRUN, a lot of people, especially family and friends, then became more interested in doing it next year and said that it looked like a lot of fun. 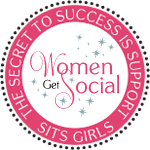 I plan to have a big turnout with friends and family participating in next year's event! Can't wait! Disclosure: I have received a comped entry to this event in exchange for posting about the event and reviews of the individual race experiences.